The updated National Telecom Policy (NTP), currently being finalised, is expected to give attention on the digital divide between rural and urban areas. In the earlier NTP, issued in 2012, the target was to increase rural teledensity to 70 per cent by 2017 and to 100 per cent by 2020. Despite all the effort and growth of wireless broadband, the figure was only 56.7 per cent at the end of December 2017. Similarly, broadband connectivity to villages has been lagging, with delay in laying of an optical fibre network (OFN) up to gram panchayats. In NTP 2012, an aim was reliable and affordable broadband access to rural and remote areas, via a combination of optical fibre, wireless, VSAT and other technologies. All panchayats were to get an OFN, with funding from the Universal Service Obligation Fund. This latter aim has seen several missed deadlines. A National Optical Fibre Network was to connect all 250,000 gram panchayats by 2016. The latest date for completion is March 2019. The delay has hit the target of broadband connectivity in rural areas. To streamline the project, the government in 2016 renamed it BharatNet and changed the structure of implementation. The budget for it was doubled to Rs 42 billion from the initial Rs 20 billion. As on March 11, goes official data, a little over 104,000 gram panchayats have been made service-ready for providing broadband connectivity under BharatNet. Rural teledensity has also been lagging, although wireless connectivity is growing at a fast pace and India is home to over a billion such connections. Due to the launch of Reliance Jio, data consumption has increased manifold. However, the benefits have largely been to urban areas. 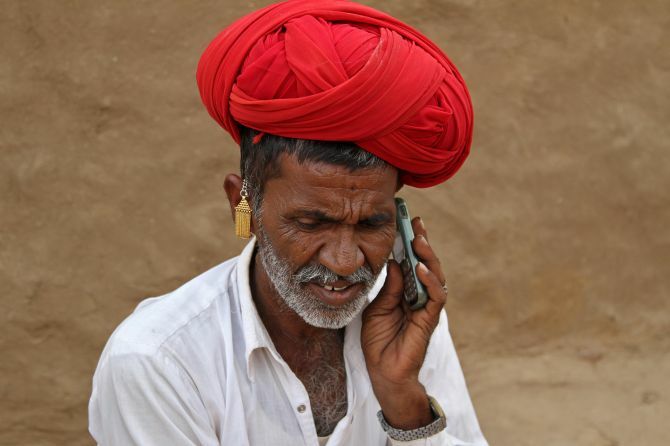 Figures from the Telecom Regulatory Authority of India show rural teledensity at the end of December at 56.66 per cent; it was 168.29 per cent for urban areas. When it comes to wireline, the digital divide is compounded. The share of urban and rural subscribers in total wireline subscribers was about 85.3 per cent and 14.7 per cent, respectively, at the end of December 2017. Overall wireline teledensity declined from 1.81 per cent at the end of November 2017 to 1.79 per cent at the end of December. Rural wireline teledensity was 0.39 per cent at end-December. The new NTP is likely to be unveiled in a couple of weeks. The target would be 100 per cent rural teledensity and access for wireline broadband to half of all households. NTP 2018 would set the mission and objectives to be accomplished by the end of 2022, when it will be 75 years of independence from British rule. Also, to attract investment equivalent to $100 billion (Rs 6.4 trillion) in the communications sector. The policy would aim at access for high-quality wireless broadband services at affordable prices to 90 per cent of the population. And, 900 million broadband connections at a minimum download speed of 2 megabits per second (Mbps). Of that, at least 150 million broadband connections at a minimum download speed of 20 Mbps. The objective includes data connectivity of at least 1 gigabits per second speed to all gram panchayats and to enable access for wireline broadband services to half of all households in the country.